Netflix users have been contacted recently by email scammers. Netflix users are being urged to watch out for online scammers who are targeting users’ login and bank account details. 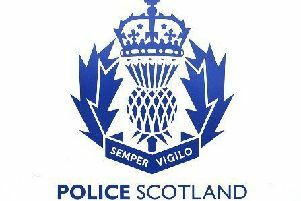 The Scottish Business Resilience Centre (SBRC) issued the warning following a spate of fraudulent emails. Site users have received emails prompting them to keep their memberships details up to date, and are then linked to a bogus login page on which they are asked to fill out personal details. Once users have filed in their details hackers are able to use them to either extract further information or directly target finances. Gerry Grant, an ethical hacker with SBRC, said that people have been duped by emails which look entirely authentic. He said: “We are urging caution after a recent outbreak of fraudulent emails have targeted users of the site. A similar ‘phishing’ scam has also surfaced in recent weeks that attempts to lure Amazon Prime users into passing on private information, further highlighting the need for internet users to exercise caution. Gerry added: “There are three simple steps people can take if they are suspicious of unsolicited messages like these. “Do not click the link, check the link’s URL to see if it is to trustworthy site and never put your personal and bank account details into any form that is not completely trustworthy. Hackers will often disguise fraudulent addresses with shortened links, hiding the URL. In these cases there is a number of sites which can be used to double-check the destination. Sites such as http://wheredoesthislinkgo.com/ can do this by simply copy and pasting the link into the website’s search-bar. ·‘https://’ at the start of the address bar or a padlock icon. The ‘S’ indicates that it is a secure server and that your information will be safe. Facebook uses this. ·‘Green Address Bar’ another indicator that some secure websites use is to turn the address bar green. ·Users should also check the page that is sharing any vouchers. Does it look genuine? Is it posting other content from that supermarket such as Christmas recipes or discounts? If not it may not be genuine. ·Look out for the blue tick - Facebook and Twitter have a blue tick scheme for verified accounts. This is a handy way to verify that a page is the real deal.